A: From Gabon, this mask is a Punu and is a Spirit Maiden Mask. It portrays a beautiful maiden with her whitened face and serene expression. As in life this beautiful maiden wears an elaborate hairstyle. 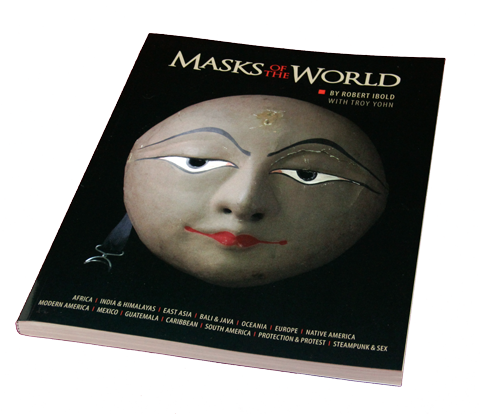 The mask would be worn with a colorful costume covering her body. Although the mask has an Asian expression, no such connection has been established. 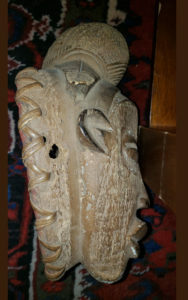 It represents a female guardian spirit in the initiation of young girls, funerary rites, ancestor cults, and also in dances of the full moon. 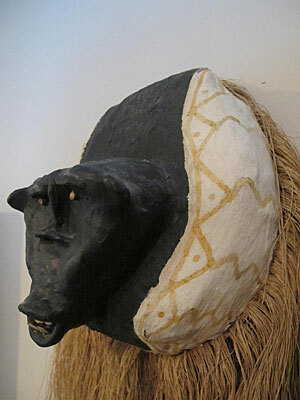 The refined features and elaborate coiffure of the Puno masks mirror the appearance of tribal women. Social cohesion is ensured by the society, whose primary role is to subjugate harmful forest spirits. 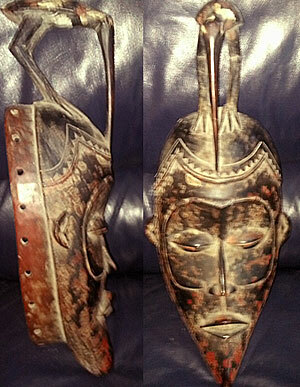 Since practically all African masks on the market are reproductions antiqued to make them look old and used. Probably this is one if them. However, the surface is unusual and the rear photo suggests actual wear. Does anyone want to comment? 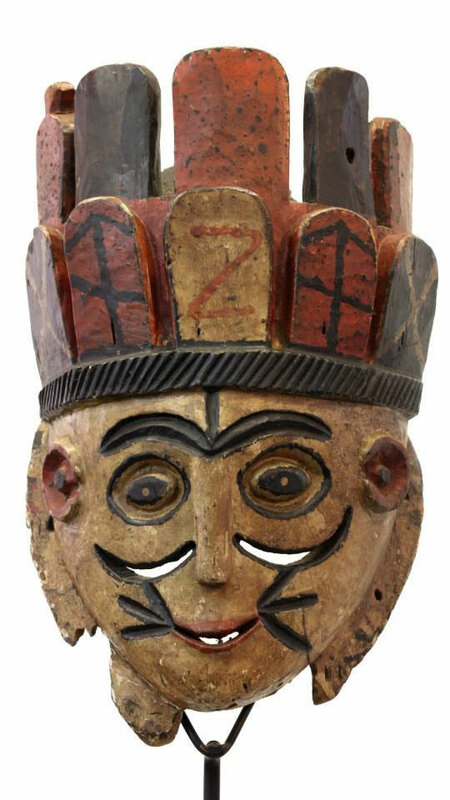 I see that the Virginia Museum of Fine Arts has a Congo mask exhibit right now in Richmond. 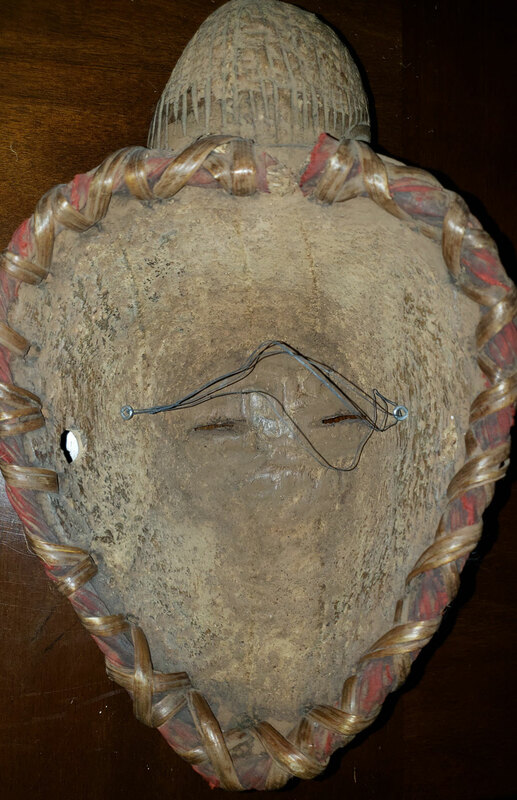 I might check it out to see what I can learn and see if I can find anyone local to Northern Virginia who may be able to see the masks in person and shed even more light on this mask and the other four (and what they may be “worth”). The other four look more primitive than this one–it makes we wonder if they could be authentic as ones I’ve seen for sale are more ornate and polished. Or, I guess, they could be modern and made by someone who isn’t as skilled. But thanks!!! I’ll watch to see if there are any responses. 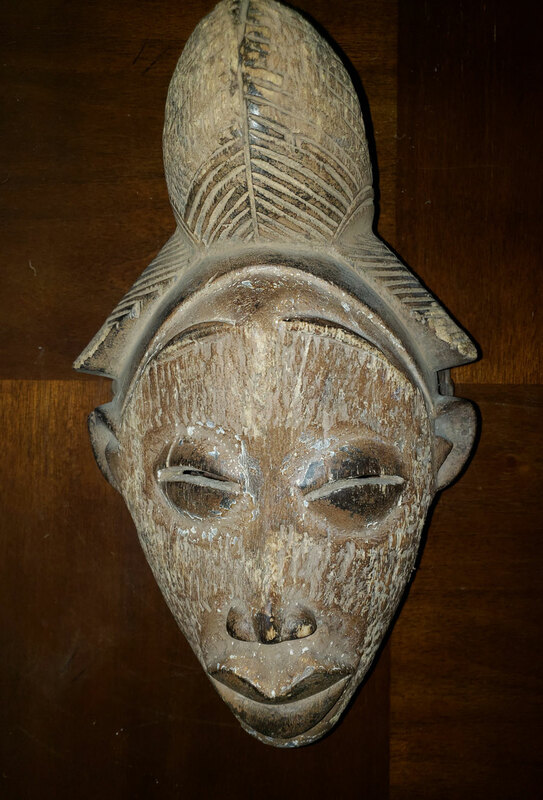 This is a recent and poor quality Punu-style fake made in Cameroon.